The Strong Interest Inventory® assessment measures career and leisure interests. It is based on the work of E. K. Strong Jr., who originally published his inventory on the measurement of interests in 1927. The assessment is often used to aid people in making educational and career decisions. 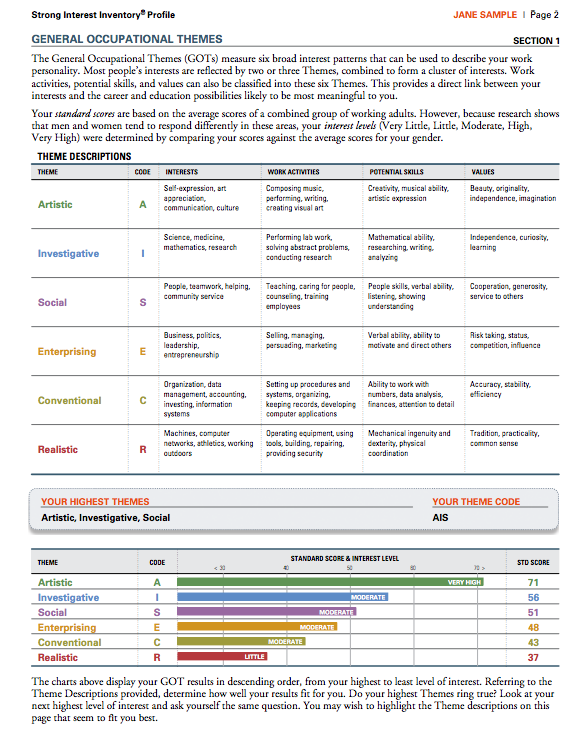 The Strong assessment measures interests in four main categories of scales: General Occupational Themes, Basic Interest Scales, Personal Style Scales, and Occupational Scales. Rick is certified to administer the Strong Inventory Assessment. He often uses this test in combination with his other tests. It is particularly helpful for identifying an individual’s highest interests and matching them with potentially compatible careers.